What a fascinating story. And totally different from the one I read a while back of the boy who also got out of North Korea. (Every Falling Star.) Different and yet the same. And when it came time to "escape" I found it interesting that she did it accidentally. She simply walked across the ice on the river to have an adventure before she turned 18. The guard on the North Korean side liked her, so he helped her. And passed her off into the hands of a dude on the China side that knew her and he helped her from there. It was so easy! But once she got to China, it got crazy. Her mom (who had no idea she was doing this, she totally sneaked out without her mom knowing) called her (because she was at her relative's house) and told her to not come back. That she was going to report her missing and do not come back! So her adventure that was supposed to be for a day, turned into more than 10 years. All this time she thought she would be going back home at some point, but then finally realized that she should just go to South Korea once and for all. (South Korea was the enemy, so this was a hard thing to decide!) And she was able to get a real passport and just flew there and said, hey, here I am! I am making light because like I said, it was easier for her than for some because she had a LOT of connections. Even though she suffered a lot during those 10 years and had to continuously change her identity and continuously run from the cops and be on her guard all the time. 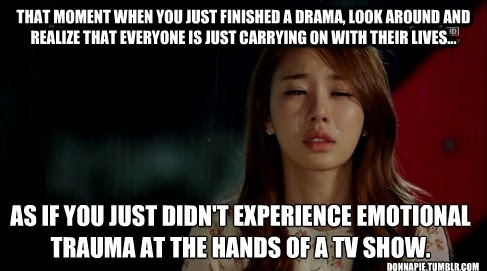 But the real craziness comes when she convinces her mom and brother to join her. She thought she had it all planned out but then everything went wrong. This is the part of the story where I was especially on edge and forgetting to breathe. Seriously, the crap they went through is CRAZY! And after all that was over, they both (the mom and brother) wanted to go back!! This is what is also so interesting to me, that the life in South Korea which should seem so blissful to them, is not really, since they are used to things so totally different. The mom wanted to die at home, and the brother left his girlfriend there and that was HARD. So hard. Anyway. Still, the biggest eye opening thing is just reading about what life was (is?) like in North Korea. It's crazy that people live like that. Even the "well off " ones like our girl's family. It's so hard to imagine that one person, essentially, can turn a country into this. The author of this book makes a point that it's because the people there believe they have no rights. So they do nothing about it. If they realized that they actually have rights, they would rise up and revolt. But they don't believe it, so they don't. Other observations. The nature of people... there are some amazing instances in her story where strangers totally helped, and without them, the end of this story would have been totally different. There are some really bad people in the world, but there are also some really really good people. Also, I am impressed at how South Korea deals with the people coming from the North. They have a holding spot where they basically introduce them to the world and teach them how to live in society before they turn them loose. It might seem weird at first, but it's really amazing how they take care of them. They even get money for a time as they are trying to find a job and get on their feet. Anyway. There are a ton books of North Koreans telling their stories. And I'm sure they will all be different and yet the same. I really hope that some day the situation changes and that the dreams of all these people will come true and that the two Koreas can be united and families can all be together without fear. I thought this book was totally fascinating. 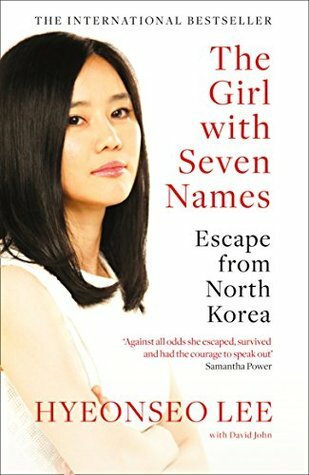 I haven't read any others about North Korea, so this one really stood out to me as heartbreaking and eye-opening at the same time. I've only read the two now, but the other was equally heartbreaking, and even a little more so actually. Anyway. It's so CRAZY that this is happening to people in our world NOW. I hope somehow someday it gets fixed.